South Park and its protagonists come with another of their crazy adventures, this time we will have to help them complete the different circuits on board a motorcycle. You will have to pass over cars and other obstacles avoiding falling on the road and reaching the finish line. If you succeed, you will have unlocked the next level where new challenges and journeys await you with more obstacles than ever. If you have failed, do not worry because you have other opportunities, you just have to be more careful and move the bike more accurately so you do not fall. 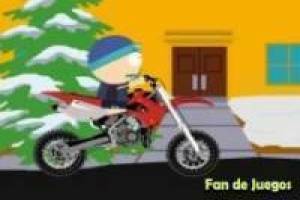 The guys from South Park are still doing pranks around the city and today it' s time to go around their streets on a motorcycle. 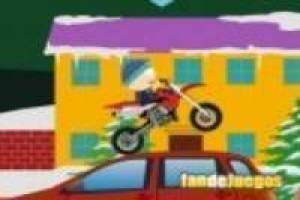 Enjoy the game South park: Motorcycles, it's free, it's one of our motorcycles games we've selected.